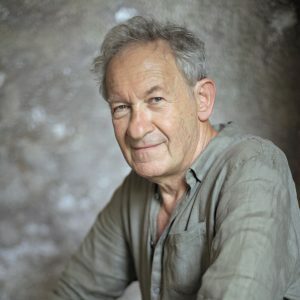 Sir Simon Schama, University Professor of Art History and History, was educated at Christ's College, Cambridge and taught at Cambridge, Oxford, and Harvard before coming to Columbia in 1993. His courses have addressed the British Empire, English and French art and politics, the Gothic Revival in England, Ruskin, and Victorian culture. Publications include: A History of Britain (3 vols., 2000-2002); Patriots and Liberators (1977); The Embarrassment of Riches (1987); Citizens (1989); Dead Certainties: Unwarranted Speculations (1991); Landscape and Memory (1995); Rembrandt's Eyes (1999); Hang-Ups: Essays on Painting (Mostly) (2004); and Rough Crossings: Britain, the Slaves and the American Revolution (2006), which won the National Book Critics Circle Award for non-fiction in 2007. His award-winning 15-part television series, "A History of Britain," was broadcast on the BBC and the History Channel from 2000 to 2002, and a new series, "The Power of Art," on PBS and BBC in 2006 and 2007. He served as Vice President of PEN American Center from 1994 to 1996, and from 1995 to 1998 he was art critic of The New Yorker magazine, for which he continues to write. In 2019, he was awarded a knighthood for services to history at Buckingham Palace.